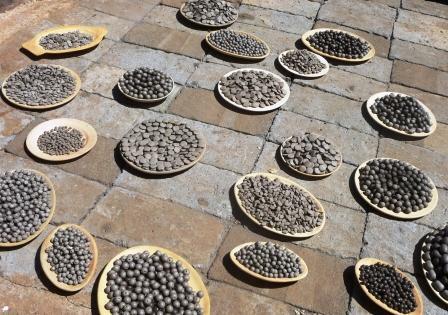 I always wanted to go and see the Kazuri Beads Factory and it was so worth the visit! We were greeting by the Manager and she showed us around the whole compound. 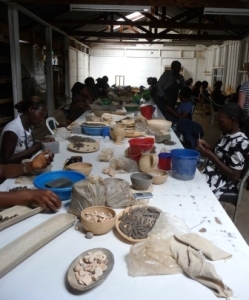 She showed and explained to us the complete process of the raw clay being turned into this beautiful stunning jewelry. Note: Kazuri means 'small & beautiful' in Swahili. A small workshop started in 1975, when the founder Lady Susan Wood learned that there was a great need of regular employment for single mothers in the area. 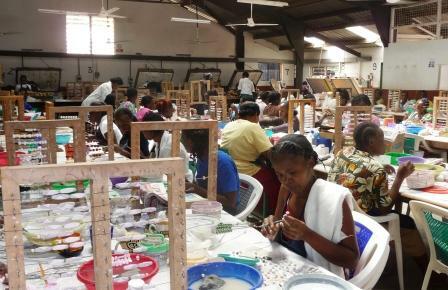 Kazuri Beads employs over 300 mostly single women now. 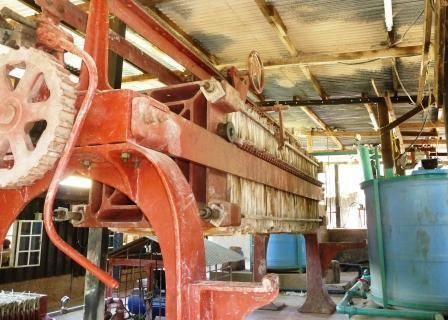 The factory is located on parts of the former Karen Blixen Estate. The Factory has a lovely compound with many trees and a nice little area to sit and have a coffee or something cold to drink. 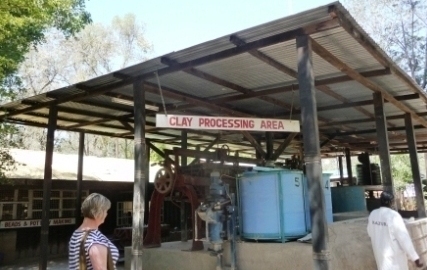 First we saw the area where the raw clay is being processed. 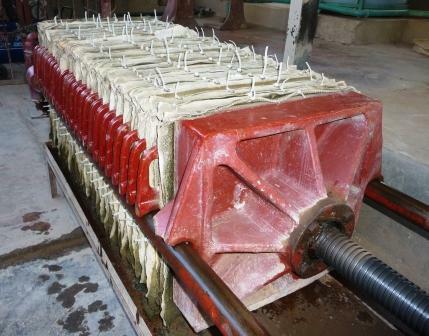 Pressing out the water to prepare the clay to be worked on. After the first hand molding and forming into beads they are drying out in the sun for a few days. After the first drying the beads are ready to receive the first layer of paint and designs. 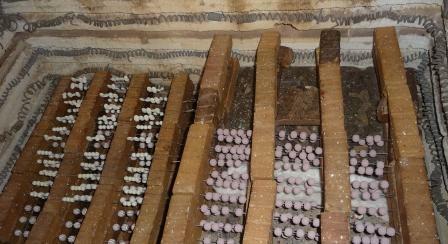 After that they are carefully staged in a ceramic oven to fire the clay. Afterward the final touch and glaze is being applied. 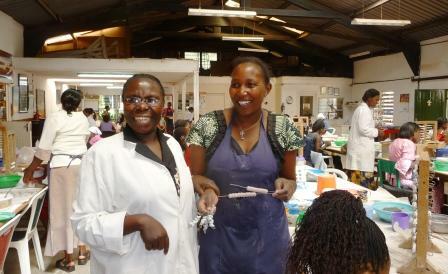 The wonderful women at Kazuri Beads Factory and 'force' behind these delightful beads & jewelery. 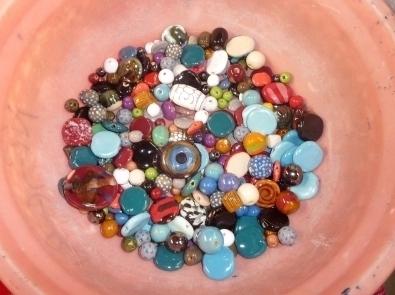 A potpourri of colorful beads in all shapes, designs and sizes. You can purchase the finished product of earrings, bracelets & necklaces right at the factories little shop and in the small Kazuri stores in every mall in the city. "We started with two Kenyan women and soon discovered that there were many other women in the villages around Nairobi, most of whom were single mothers, who were in great need of regular employment. Driven by the desire to provide such opportunities, Kazuri has grown and today we have a large work force skilled in the making of handmade jewellery. 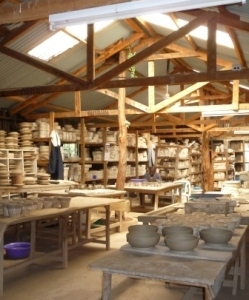 We have further applied our knowledge of ceramics and the artistic flair that has made our necklaces so attractive, in the design and production of our own unique range of pottery-ware, which reflects the culture and wildlife of Kenya. 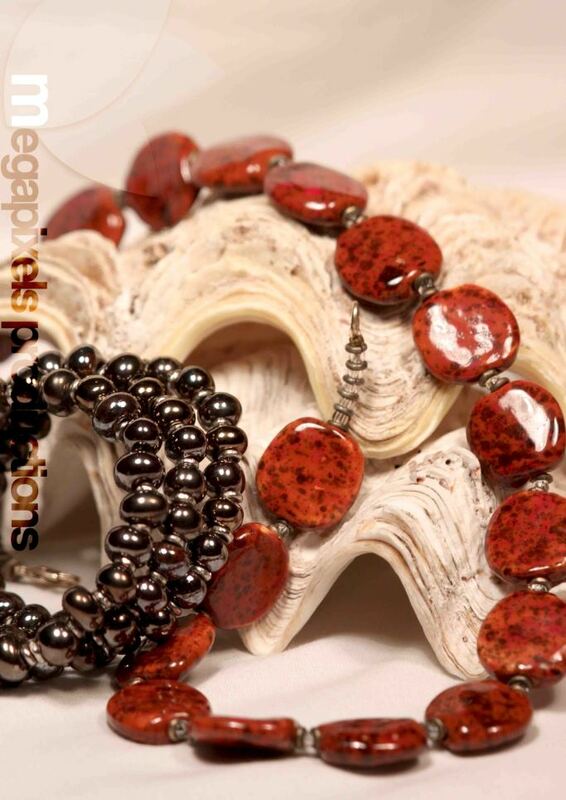 Each piece, like our beads, is hand made and hand painted in rich colours and our range is extensive from individual collector pieces to dinnerware." There is a lovely tour you can take combine with a visit to the Giraffe Center! Brilliant day out of the city and to add to your visit to Kenya!